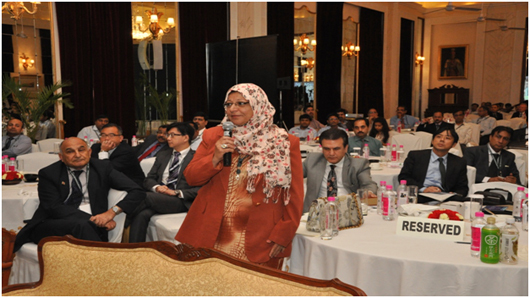 was organized during April 11-12, 2013 at New Delhi, India. The Conference was held under the combined aegis of National Housing Bank (NHB), the Asia Pacific Union for Housing Finance (APUHF) Forum, whose Secretariat is hosted by NHB, and the Asia Pacific Ministerial Conference on Housing and Urban Development (APMCHUD). 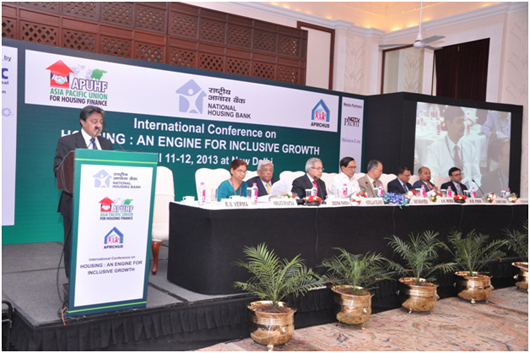 The Conference was inaugurated by the Hon’ble Union Minister of State for Finance, Shri Namo Narain Meena. 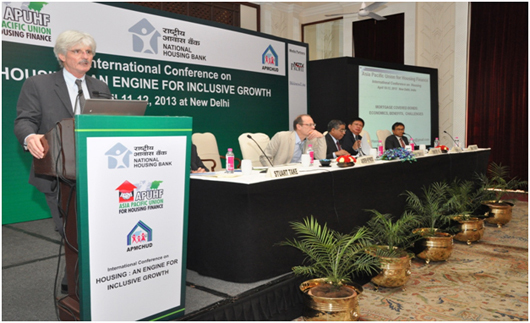 The focus area of the Conference was housing as a contributor to inclusive growth. 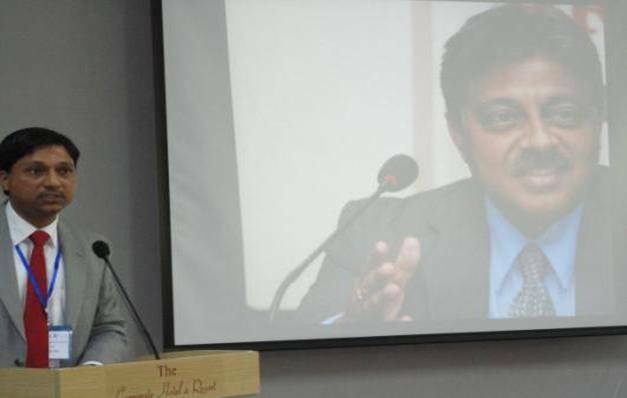 The programme was structured with a view to deliberate on a wide range of issues being faced by the housing and housing finance industry across the Asia Pacific region, as also the best practices across the globe. 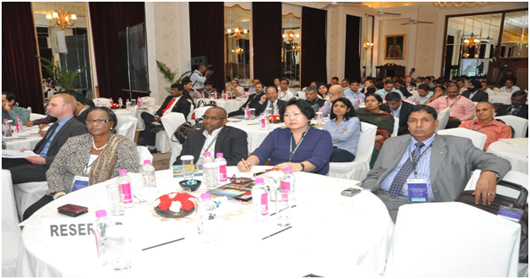 The two-day conference saw participation from more than 200 eminent speakers and delegates from over 12 developed and emerging countries. 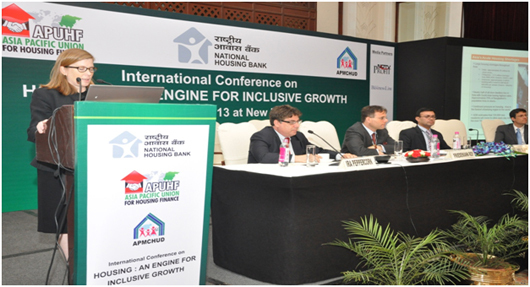 Several speakers presented the status of housing and housing finance in their respective countries. The Conference saw representation from Central Banks of various countries, policy makers, planners, Banks, Financial Institutions, multilateral agencies and academia. 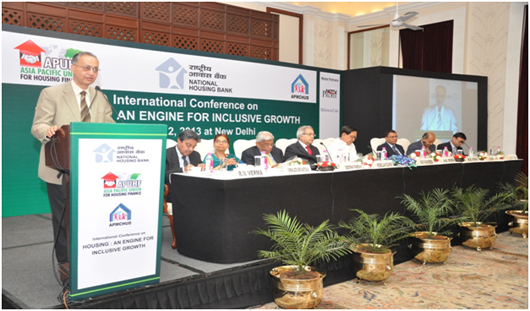 The Conference spanned over a period of two days and comprised of nine sessions covering issues relating to increasing urbanization and housing challenges, regulatory and policy framework, housing finance and low income housing, securitization, mortgage insurance / guarantee and lessons from sub-prime. The speakers also deliberated on issues arising from urbanization, slum proliferation, and lack of adequate and reliable data with respect to housing shortage. Further, funding models of various countries and also new evolving products like covered bonds were discussed during the course of the Conference. 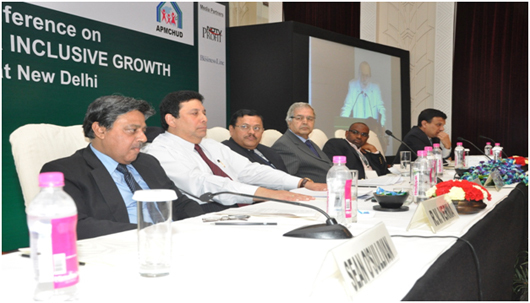 Members of the developer community also shared their insights and outlook for the housing and housing finance sector. Some recommendations and ideas which emerged after the two-day conference included accessible and affordable construction finance, simplification of state laws, single window clearances to enable faster approvals, establishment of the Real Estate Regulator, inclusion of MFIs in the schemes formulated by the Government, effective rental housing schemes, special dispensation of FAR, developing sustainable and customized housing microfinance products for the EWS/LIG segments, interlinking the various plans like City Development Plan, Master Plan, City Sanitation Plan and City Mobility Plan. The importance of responsible borrowing as well as responsible lending was also highlighted in the backdrop of the sub-prime crisis. Memorandum of Understanding between Asia Pacific Ministerial Conference on Housing & Urban Development (APMCHUD) and Asia Pacific Union for Housing Finance. 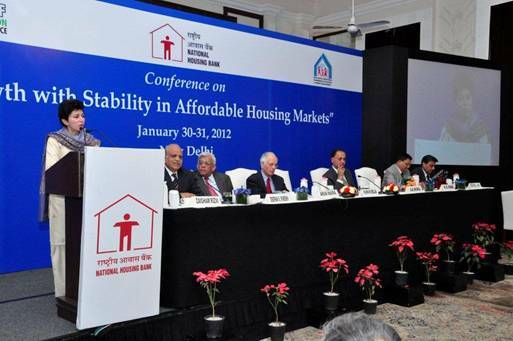 The National Housing Bank (NHB) in association with the Asia Pacific Union for Housing Finance (APUHF) and the Asia Pacific Ministerial Conference on Housing and Urban Development (APMCHUD) organized International Conference on ‘Growth with Stability in Affordable Housing Markets’ during January 30-31, 2012 at New Delhi. The Conference was attended by a large number of international participants and Speakers from Bangladesh, Indonesia, Iraq, Japan, Malaysia, Mongolia, Pakistan, Sri Lanka, and Thailand besides International Finance Corporation, World Bank, Asian Development Bank and KfW (Germany). 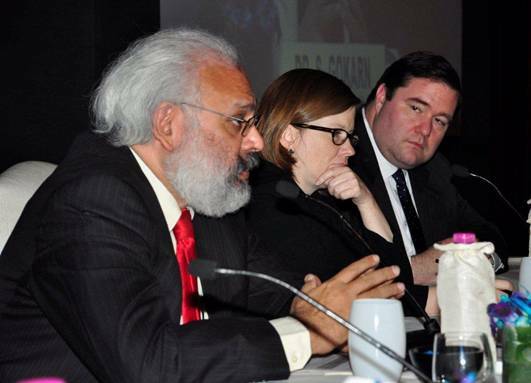 Representatives from NGOs, academia, researchers and policy makers also participated in the Conference. The Conference was inaugurated by the Hon’ble Union Minister for Housing and Urban Poverty Alleviation & Minister of Culture, Government of India (GoI), Kumari Selja. 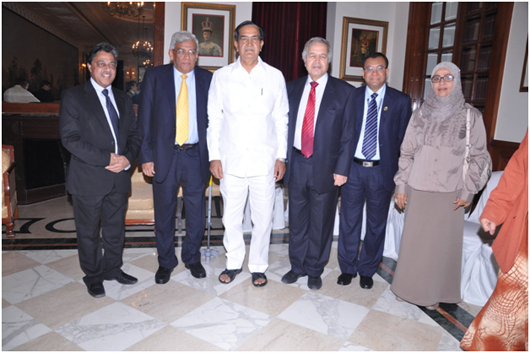 Besides the Hon’ble Minister, the other dignitaries in the Inaugural Session included Mr. H.R. Khan, Deputy Governor, RBI, Mr. Arun Maira, Member, Planning Commission, GoI, Mr. A.K. 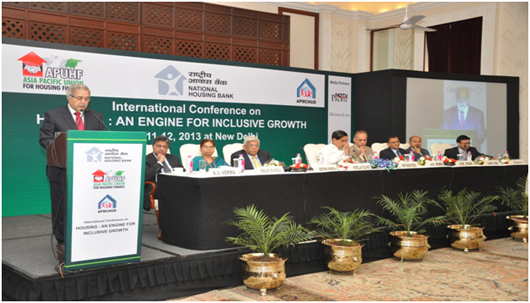 Misra, Secretary, MHUPA, GoI, Mr. Deepakh S. Parekh, Chairman, HDFC, Mr. R.V. 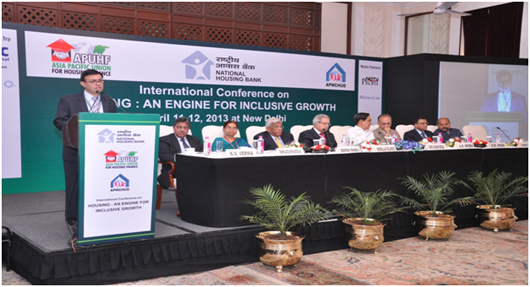 Verma, Chairman and Managing Director, National Housing Bank. & Mr. Ziagham Rizvi, Secretary General APUHF. The Hon’ble Union Minister for Housing and Urban Poverty Alleviation & Minister of Culture, Government of India (GoI) released the NHB’s publication “Trend & Progress of Housing in India, 2011”. She also released “Trend & Progress of Housing in India, 2011” IFC-World Bank-NHB Report on Green Interventions for Affordable Housing. Mortgage funding strategies of various countries after financial crisis with special focus on MBS & Covered Bonds. The Conference also focused on requirements of the industry particularly in the backdrop of global issues that the mortgage industry has encountered in the recent past. The Conference also deliberated on wide ranging issues connected with Policy development, product innovation, affordability models and recent changes and developments in the housing finance markets being witnessed in different countries. A summary of the proceedings is under preparation and will be placed on the website of NHB/APUHF soon. The deliberations and the presentations highlighted the Issues and Challenges in Affordable Housing market, common to countries in the Asia Pacific region. The Conference deliberated on a number of issues that related to finance, land, technology, energy efficiency, and regulatory framework for designing of workable solutions on affordable housing. Mr. Deepak Parekh, Chairman, HDFC Ltd. Presentations on international experiences, perspectives and policy issues in affordable housing and Low Income Housing Finance, with country highlights of India, Pakistan, Bangladesh, Thailand, Indonesia and Mongolia formed an important part of the Conference. 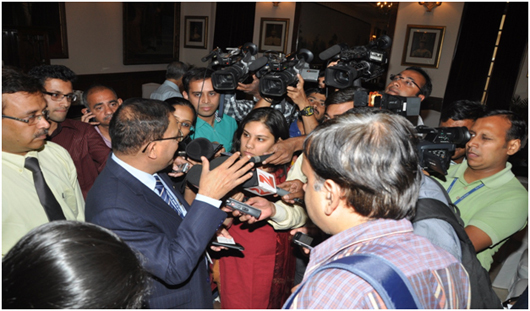 The Conference also highlighted the successful interventions in various countries. The Presentations and deliberations at the Conference also covered the supply side issues, role of Micro Finance Institutions in Housing Micro Finance, growth prospects of primary mortgage markets, urban planning for affordable housing, securitization for low income housing, energy efficiency in the residential sector, prospects of rental housing, Risk mitigation in mortgage financing etc. 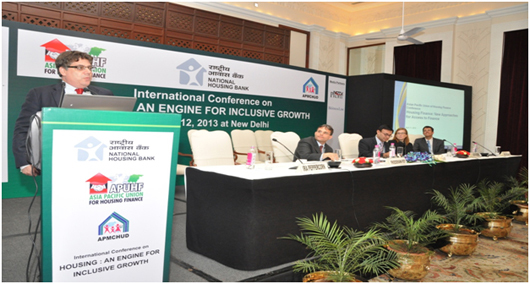 Mr. Vishal Goyal, AGM, National Housing Bank reads a message from Mr. R.V. 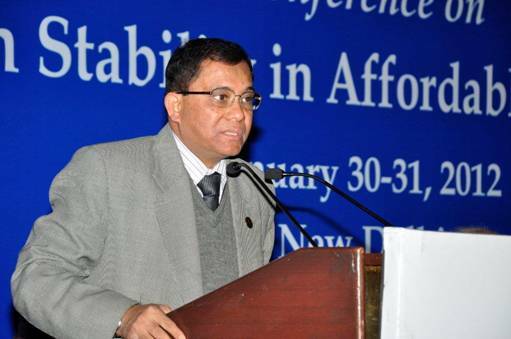 Verma, CMD, National Housing Bank. Asia Pacific Union of Housing Finance (APUHF) in association with Mongolian Mortgage Corporation (MIK), kFw and Frankfurt School of Finance & Management organized Workshop on Housing Finance during June 26-29, 2011 at Ulaanbaatar, Mongolia. 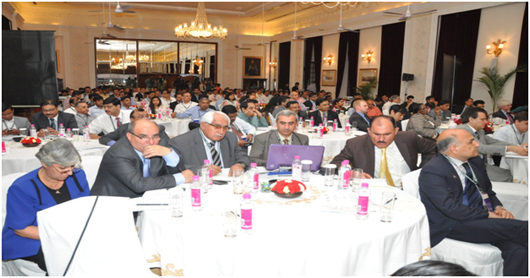 The Workshop focused up on the entire spectrum of Housing Finance. 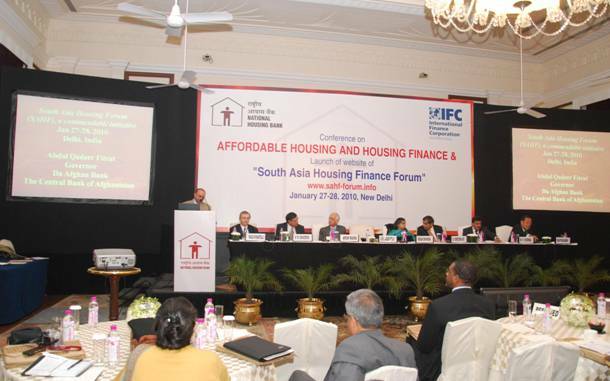 The agenda was designed to share the various facets of Housing Finance in the region of Asia-Pacific. Latest information, expert perspectives and respected insights on compelling topics confronting the policy makers, national governments, financial institutions and research bodies were on the offer during the schedule of the workshop. The Workshop showcased overview of practices together with specific country perspectives adaptable to local contexts. Participants of the Workshop on Housing Finance included international housing finance experts from housing finance institutions representing countries viz. Thailand, Philippines, Japan, Azerbaijan, Indonesia, Malaysia and Mongolia besides India. Representatives from UN-HABITAT, IFC and NHB also took part. The experience with secondary mortgage market operators. The topics were treated in form of technical sessions that included presentations from the speakers with subsequent questions and answers. Such approach allowed for a very good exchange among the local and international participants. Speakers from India, Thailand, Philippines, Japan, Azerbaijan, Indonesia, Malaysia, China and Mongolia shared their experience and knowledge of their countries and respective institutions. The first technical session was chaired by Mr. O. Chuluunbat, Member of Parliament. Speakers presented the housing situation in India, Thailand and Mongolia. 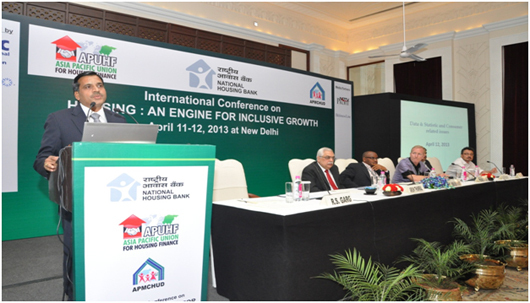 Mr. Vishal from India presented details of the demand driven growth for housing finance in India. He stressed the fact that affordability and accessibility remain major challenges for the low and moderate income population there. A remarkable shift in market focus towards affordable housing can be observed in India. Mr. Ballobh from Thailand presented the case of Government Housing Bank of Thailand. His institution assists Thai people to have their own home. It does so by providing mortgage loans to general public with emphasis on low and middle income groups. The institution operates in the banking system on commercial basis and competes in the free financial market both in funding and lending. The bank does not receive direct-funding or subsidy from the government. In her presentation, Ms. Enkhbayar, CEO of MIK, highlighted the need for a clear Government affordable housing and housing finance strategy. Furthermore she emphasized the need for strong explicit or implicit support by the Government (funding or guarantee) in order to address the affordability issues in Mongolia. The deepening of the secondary mortgage market could help bring long term funding that could relief mortgage loans from banks and convert into securities, hence increase the affordability. The second technical chair was chaired by Dr. Xing Quan Zhang, Chief, Urban Economy and Social Development Branch, UN-Habitat, Kenya. Speakers from Thailand, Mongolia and Philippines presented approaches and initiatives that address the low-income housing situation in their respective countries. Remarkably enough, the most successful initiatives did not simply aim at providing financial services to the households; rather they offered additional support aiming at strengthening and empowering the local communities. In the second day of the workshop the third technical session was chaired by Mr. Mr. Narayansamy Kokularupan, former CEO of Cagamas, Malaysia; Consultant Housing Finance. The presentation from Indonesia was held during this session, given that the representatives arrived late due to flight delays. Speakers presented the pre-conditions needed for establishing successful secondary market operators and how these preconditions are met in Mongolia. Furthermore they presented the performance and the role of secondary markets operators in countries like Japan, Azerbaijan and Malaysia and provided lessons learned from their experiences. The event proved to be a great platform for knowledge sharing and exchange of success stories in housing finance, along with the identification of the challenges – existing and to be found in the road ahead. Housing financing market experiences and low-income housing finance in the Asia Pacific countries made the delegates aware about the existing scenario in the region and actions to be undertaken. Population growth, shortage of dwelling units, limited land and economically weaker section- all these factors are interlinked and need a strategic solution. Also, the ecology and environment are major concerns. Affordable Housing, Green Housing, Energy Efficient Housing – the answers we have still need further fine tuning and the Mongolia event was one such step in that direction. 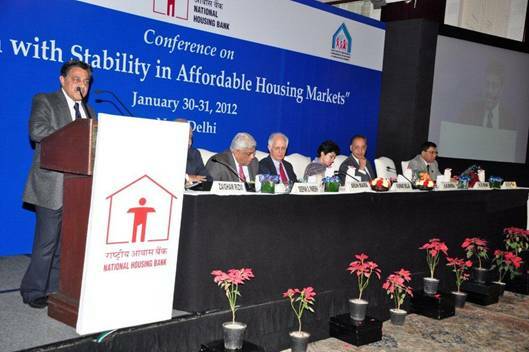 Mr. RV Verma, Executive Director, National Housing Bank welcoming the delegates to the Conference on Affordable Housing held in New Delhi on Jan 27 & 28, 2010. 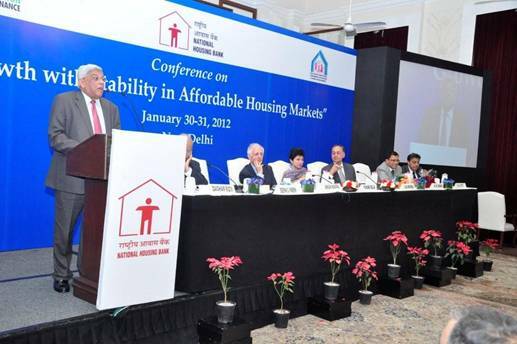 The National Housing Bank (NHB) in association with the World Bank and International Finance Corporation (IFC), organized a International Conference on Affordable Housing and Housing Finance during January 27-28, 2010 at New Delhi. 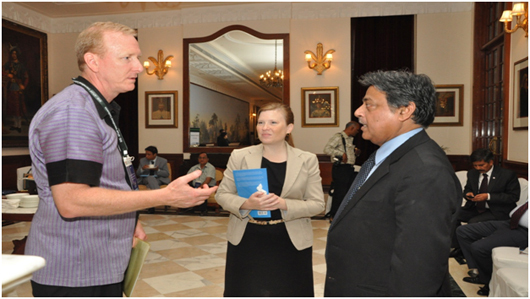 The Conference had participants and Speakers from Afghanistan, Bangladesh, Brazil, India, Indonesia, Maldives, Mauritius, Pakistan, Sri Lanka, South Africa and Thailand besides IFC, World Bank and World Bank Institute, Affordable Housing Institute, ADB, Government of India – Central and State Government Officials, Reserve Bank of India, Banks & Housing Finance Companies. Representatives from Civil Society Organizations, academia, researchers and policy makers also participated in the Conference. 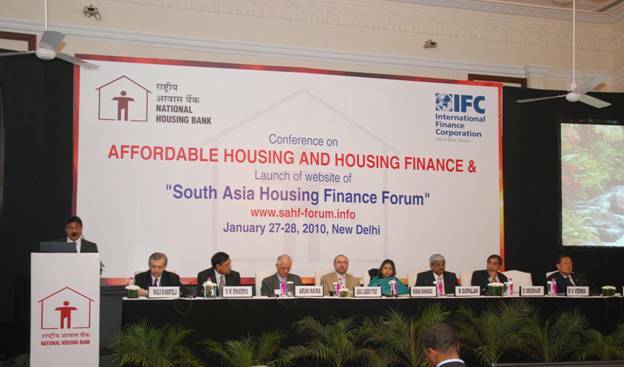 The Conference was preceded by Launch of Asia Pacific Union For Housing Finance (APUHF Forum)(Formerly known as Asia Pacific Union for Housing Finance) , a Knowledge sharing and Information portal, developed by the National Housing Bank. The launch was done by HE Governor Abdul Qadeer Fitrat, of Central Bank of Afghanistan in the presence of the Special Invitees and the delegates of the Conference. The forum intends to promote coalition and coordinatiossn among the South Asia and Asia Pacific countries in exploring and determining their housing and housing finance solutions. The Forum has members from Afghanistan, Pakistan, Sri Lanka, Bangladesh, Thailand, India and is expected to expand and include other Asia and Asia Pacific countries. The deliberations and the presentations highlighted the Issues and Challenges on Affordable Housing, common to most of the South Asia and Asia Pacific countries. The Conference deliberated on the dynamics of the housing and housing finance market with focus on issues relating to finance, land, technology, construction design, and regulatory framework for effective strategies, innovative products and sustainable programs on affordable housing. The launch of the site is a welcome initiative on the part of the National Housing Bank which plays a lead role in this region. A number of Presentations were made in the Conference which included international perspectives and policy issues in affordable housing and Low Income Housing Finance, Liquidity and Fiscal Issues and its implication for housing finance, micro housing initiatives, securitization for low income housing, role of construction finance and technology in affordable housing, subprime crisis: causes and lessons etc. The Conference highlighted various successful interventions tried in Brazil, South Africa, Kenya, Thailand, USA and India. The recommendations and deliberations of the Conference are being compiled by NHB and would be soon available on the website. 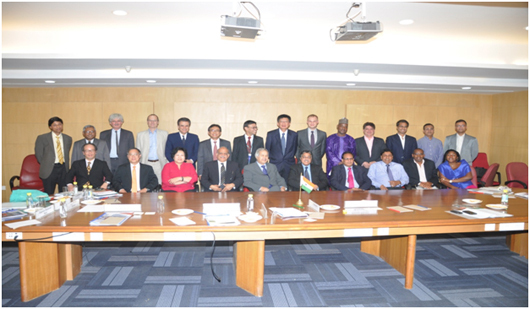 At the end of the Conference, the first meeting of the Advisory Board of the APUHF was also convened which has representation from the Central Banks of Afghanistan, Pakistan, Bangladesh, Sri Lanka, and National Housing Bank of India. The Government Housing Bank of Thailand was also co-opted in the Group. 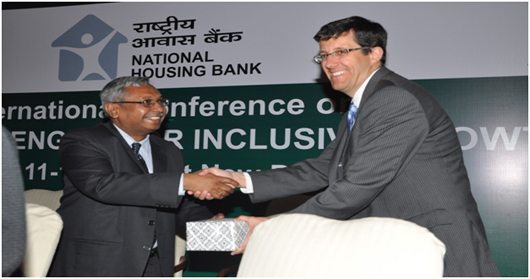 The APUHF Secretariat is hosted by the National Housing Bank (India). Speaking on the launch of the website of APUHF, Mr. R.V.Verma, Executive Director, NHB said that we shall try and upscale the platform which will be a very active website for sharing of information, exchange of experiences and success stories among the South Asian countries to address their affordable housing and housing finance problems. This platform will facilitate learning by sharing. 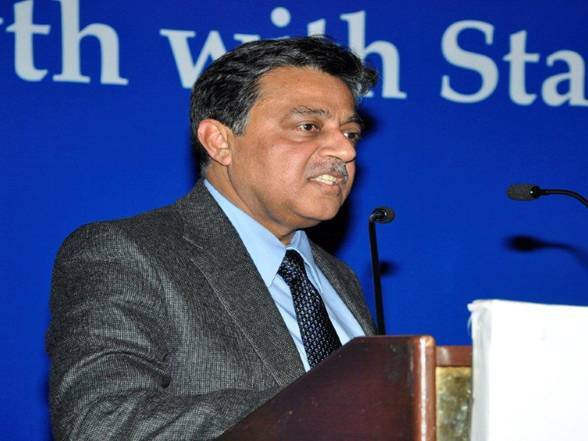 Mr. Verma also added that the conference deliberated on a wide ranging issue associated with affordable housing and housing finance in the South Asia region. The problems relating to housing shortage and affordable housing being largely common across the South Asia reason, the conference was a big opportunity to learn from different countries, their experiences and their successful policies and strategies. He said that we are in the process of finalizing the critical recommendations of the conference and to take them forward for their suitable implementation. H.E. Abdul Qadeer Fitrat, Governor, Central Bank of Afghanistan addressing the delegates of the Conference on Affordable Housing and Housing Finance after inaugurating the Asia Pacific Union For Housing Finance Website at New Delhi.